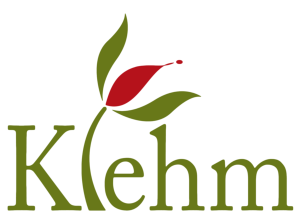 Bus departs Klehm at 8 AM and returns at 4 PM. Registration is now CLOSED for this excursion. Klehm is taking a trip! Join us on an excursion to the Chicago Botanic Garden in Glencoe, Illinois on March 9th, 2019 for an entire day of fun with orchids! Enjoy not one but TWO special events focused exclusively on orchids during your day at the gardens! Your package includes entry at 10:00 AM to the vibrant exhibit, “Into The Tropics: The Orchid Show”. This year’s Orchid Show captures the spirit of islands, beaches, and rainforests in places like the South Pacific and the Amazon. You’ll get a feel for the radiance of blooms under sunlit palm trees and in forest canopies teeming with color and life. Picture more than 10,000 orchids in bloom, paired with sweeps of bromeliads and birds of paradise—lush, vibrant, intoxicating. In addition, on March 9th, the Chicago Botanic Garden will be hosting The Illinois Orchid Society Spring Show & Sale. Displays of orchids from the rarest of species to cultivated hybrids will be artistically arranged and vendors will have orchids for sale. Individual orchids in 128 classes will vie for ribbons. Entries will receive “best of class” green ribbons, and the best-appointed plant in the show will receive the Chicago Horticultural Society Award from the American Orchid Society judges. Repotting services will be available. Families can take part in orchid-based activities for children. Vendors will also be on-site to sell orchid plants and related products—cut flowers, cultural books, hobby bags of our special Illinois Orchid Society (IOS) potting mix, raffle tickets, and best of all, IOS memberships. Departing Klehm Arboretum & Botanic Garden at 8:00 AM and limited to 45 guests, this package overall combines travel and parking expenses, entry to the “Into The Tropics” exhibit, entry to the Illinois Orchid Society Spring Show & Sale and the ability to also browse and wander the grounds of the Chicago Botanic Garden. Lunch is not included in this package but guests are encouraged to dine at the Chicago Botanic Garden’s Garden View Cafe. ADMISSION: $48 per person – prepayment is REQUIRED to reserve your spot. Sign up quickly for this day of fun and escape at the Chicago Botanic Garden!